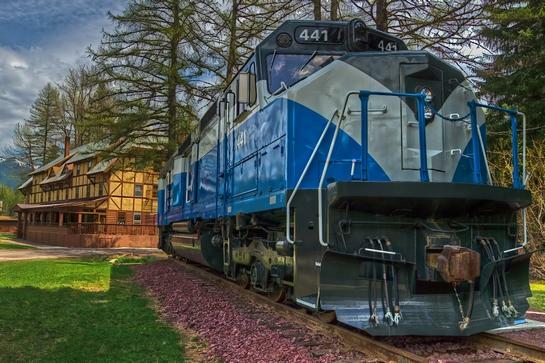 Izaak Walton Inn and the GN411 Locomotive. Get your reservation today to stay in the Locomotive. 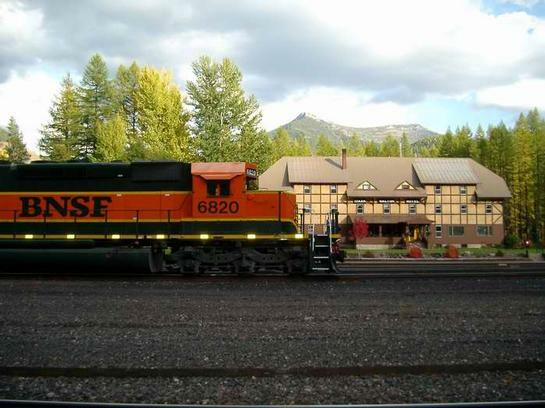 BNSF helper engine passes by the Historic Izaak Walton Inn. Essex, Montana.